ServiceMaster of Albuquerque and West Mesa has been the leading provider of disaster restoration and cleaning services for the homes and businesses in Rio Rancho, NM for the past 30 years. We provide services for communities in the northern portion of New Mexico along I-40 and I-25 and our owners also have a ServiceMaster business in Las Cruces, NM that covers communities in the southern portion of the state. 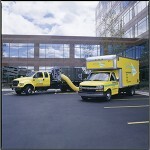 Our technicians have each been highly trained to provide the best possible services and we are also IICRC certified and certified as a ServiceMaster Restore Commercial Response Center (CRC) that helps out with large losses anywhere in the U.S.
Our main services include water damage restoration, fire damage restoration, mold remediation, content cleaning and pack-outs, deodorization, hoarding cleaning, commercial damage restoration, and construction services. 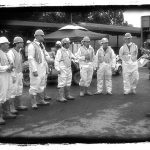 We are a certified microbial remediation supervisor which allows us to provide more effective restoration for mold and water damage and our exceptional service earned us the 2007 Marion E. Wade Award of Excellence. Our phone lines are open 24 hours a day at (505) 814-1411 to respond to emergency situations in Rio Rancho, NM and the surrounding areas. Water damage occurs quite often in a home or building and regardless of the extent of the problem, it can still become a major issue without quick enough restoration. Excess water can get into a home from flooding, heavy rain, leaks, burst pipes, and overflows and it can quickly spread to cause significant structural damage and mold growth because many building materials such as wood and drywall are absorbent. ServiceMaster of Albuquerque and West Mesa provides water damage restoration services to help homes and businesses in Rio Rancho, NM that have been affected by flooding or water damage. Our three phase water damage restoration procedure includes emergency response, water removal, and thorough drying to get your home or building restored to its previous condition. 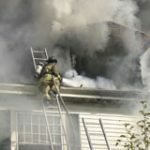 A fire can start in a home or building in a matter of minutes and it can cause extensive damage just as quickly that can continue to get worse after the fire is out. 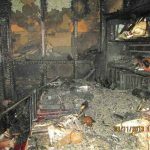 The heat from the fire causes synthetic materials to release corrosive byproducts that along with soot from the smoke, can cause tarnishing and etching in areas that the fire itself did not reach. ServiceMaster of Albuquerque and West Mesa provides fire damage restoration services in Rio Rancho, NM to clean up and repair homes and businesses that have been affected by a fire. We can restore your home or building to its pre-fire condition using state-of-the-art cleaning products and equipment. Mold spores are constantly present in the natural environment which means that it can start growing in a home or building at any time. The spores only require moisture and a food source such as wood or drywall to start growing and it will continue to spread and devour the affected surfaces until it can be removed. ServiceMaster of Albuquerque and West Mesa provides mold remediation services in Rio Rancho, NM to remove mold growth from commercial and residential settings as well as repair or replace the damaged surfaces. We also work with a nationally recognized testing facility that allows us to accurately test for mold and find hidden mold growth. Most natural disasters cause pervasive damage in your home that can easily affect your personal belongings in addition to the structural elements and furnishings. If your personal items are damaged by water, fire, or mold, it is important to have them restored as quickly as possible to prevent the damage from becoming permanent. ServiceMaster of Albuquerque and West Mesa provides content cleaning and pack-out services in Rio Rancho, NM to clean and restore all types of damaged personal content. The content restoration can be done in your home but if your home is also damaged and needs to be restored, we can provide pack-out services to take them to our facility. When a natural disaster occurs, the physical damage is not the only consequence as many disasters may leave a strong odor in the home or building. Odors may result from water damage, mold growth, and fires and it is very difficult to remove these odors without professional cleaning services. ServiceMaster of Albuquerque and West Mesa provides deodorization services to eliminate unpleasant odors and their source from homes and businesses in Rio Rancho, NM. Our advanced deodorization equipment allows us to effectively remove odors from the air spaces, furnishings, and structural elements of your home. 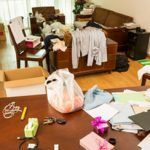 Hoarding affects a significant amount of people in the U.S. as hoarding behaviors can create dangerous consequences for those affected as well as their families. Many people that struggle with hoarding have difficulty throwing anything away which results in a growing collection of hoarded items that can create dangerous and unhealthy living conditions in a home. Hoarders rarely reach out for help on their own and need a friend or family member to help get the cleaning process started. 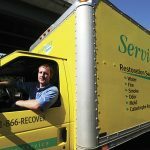 ServiceMaster of Albuquerque and West Mesa provides hoarding cleaning services to help those in Rio Rancho, NM that struggle with hoarding issues clean and restore their homes. We take a respectful approach to hoarding cleaning projects which puts the affected individual in charge of deciding the fate of the hoarded objects, and we will make sure to thoroughly clean and disinfect the home for safer living conditions. The damage from a natural disaster in a commercial setting needs immediate attention because the longer you wait to begin the restoration, the more money your company will lose due to the cost of repairs and the amount of time spent out of commission. Reacting quickly in this situation will help limit the spread of the damage which will reduce the overall cost of the restoration as well as the time it takes to complete the restoration. ServiceMaster of Albuquerque and West Mesa provides commercial damage restoration services in Rio Rancho, NM to restore offices and other commercial settings that have been damaged in a disaster. We can effectively restore any type of commercial space to safe working conditions using the best cleaning equipment and products of the industry. Sometimes the damage from a natural disaster is so severe that the structure of a home or building can become severely compromised. In these situations, your home or building will need to be stabilized immediately and it will take full construction services to get the damage repaired. ServiceMaster of Albuquerque and West Mesa provides construction services to stabilize and repair heavily damaged homes and buildings in Rio Rancho, NM. 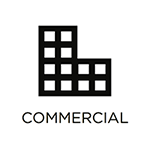 Our construction services are effective for rebuilding homes, multi-tenant buildings, offices, and other types of commercial spaces. Violent crimes and major accidents are unfortunately a daily occurrence in the U.S. and there is always a possibility that such an event can happen on your property. The first thing you should do in any emergency is call 911 for emergency responders, and then contact a licensed professional to cleanup and restore the scene. 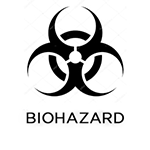 Trauma scenes from an accident or violent crime typically contain biohazard materials like blood and bodily fluids, and they must be cleaned up by a qualified restoration professional. ServiceMaster of Albuquerque and West Mesa provides biohazard and trauma scene cleaning services to clean and sanitize the scene of a violent crime or accident in Rio Rancho, NM. We use advanced cleaning equipment and disinfectants to ensure that the scene is thoroughly restored, and we are sensitive to situations in which a serious injury or death has occurred. When a natural disaster occurs, there is always a chance that the resulting damage can be very severe. There are several types of disasters from major storms and flooding to fires and accidents that can do major damage to the siding, roof, and structural core of your home or building. It is crucial for heavily damaged homes or buildings to be covered up and stabilized right away because they are vulnerable to further damage or even collapse. At ServiceMaster of Albuquerque and West Mesa, we provide emergency board up services in Rio Ranch, NM to cover up and stabilize homes and commercial buildings that have sustained severe damage. Our technicians will board up holes in the siding and roof and stabilize the structural core of the building to keep it standing. There are several types of storms that can strike in the Rio Rancho, NM area and put your home or building at risk for damage. The wind and rain from a thunderstorm, east wind storm, or monsoon can result in damage to the exterior and roofing of a building as well as flooding that can cause extensive water damage. If your home or building is damaged by a storm, you must react immediately to have the damage restored. At ServiceMaster of Albuquerque and West Mesa, we provide storm damage restoration services to help affected homes and businesses in Rio Rancho, NM. We can stabilize heavily damaged buildings to prevent further damage and create a full restoration plan that includes the repair of structural damage and removal of flood water. Frozen pipes are not a problem that homeowners and business owners think about often in Rio Rancho, NM, but they can still happen. At night, the temperature can get below freezing which puts your pipes at risk of freezing, especially if they are not insulated. Frozen pipes will eventually burst as the ice within them expands, and the water that spills out can cause extensive damage. 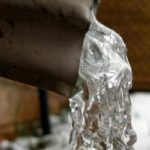 ServiceMaster of Albuquerque and West Mesa provides water damage restoration services in Rio Rancho, NM to restore the damage caused by a burst pipe. We have advanced extraction and drying equipment that can remove the water and moisture and we will also restore the damaged materials and furnishings.